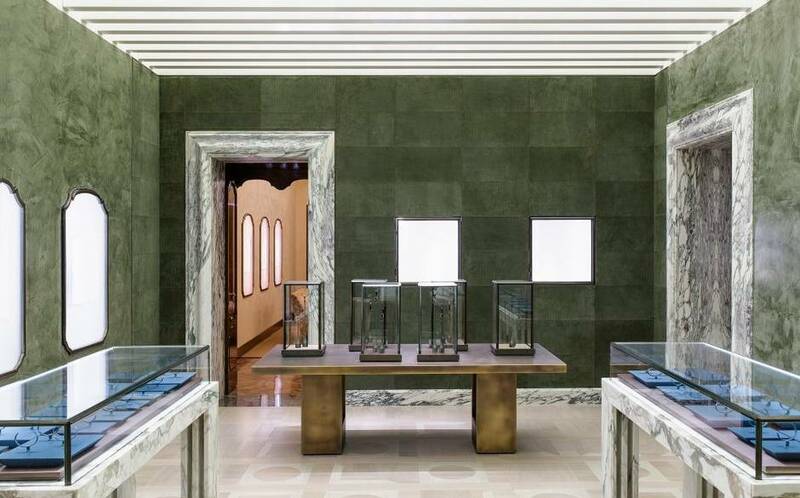 The Bulgari store men’s watch gallery incorporates a marble floor using a pattern from the Pantheon. With my trip to Rome 3 weeks away, the great theater of Italian design is buzzing in my head. I love Rome for its layered history, amazing art, vibrant culture, cobble stone streets and somewhat run-down buildings. I love my daily routine while on vacation there: saddling up to the counter and ordering an espresso and croissant for breakfast like a local, visiting so many churches and archeological sites as humanly possible, shopping for the perfect pair of Italian shoes, enjoying an aperitif at a nice outdoor cafe just when my legs can’t go any further, and an evening stroll through the streets of Rome while enjoying a dairy-free chocolate gelato. The Taylor room, which can be closed off with sliding doors for private shopping. I love Rome above all for all the great design. 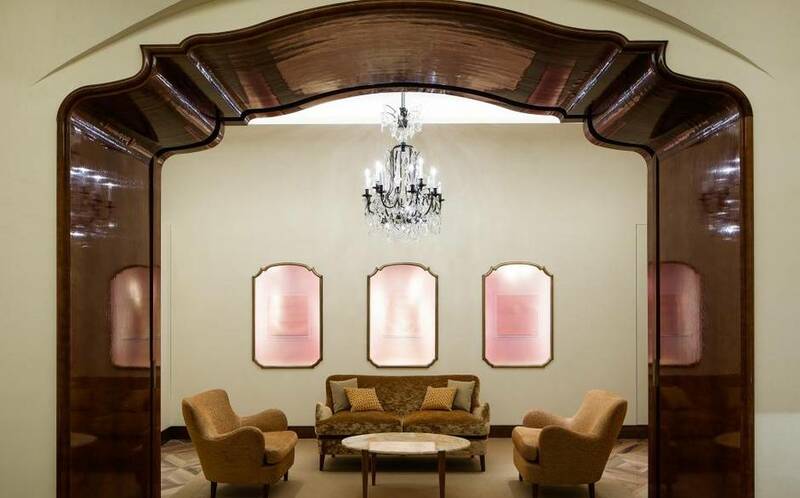 The most recent addition to the design scene in Rome is the newly renovated Bulgari store. The Bulgari store strikes me for its very Roman-ness. It’s grandeur, its scale, it’s seriousness, it’s references to history while still claiming to be relevant to the present. These are some of the multilayered complexities of Rome which I love. 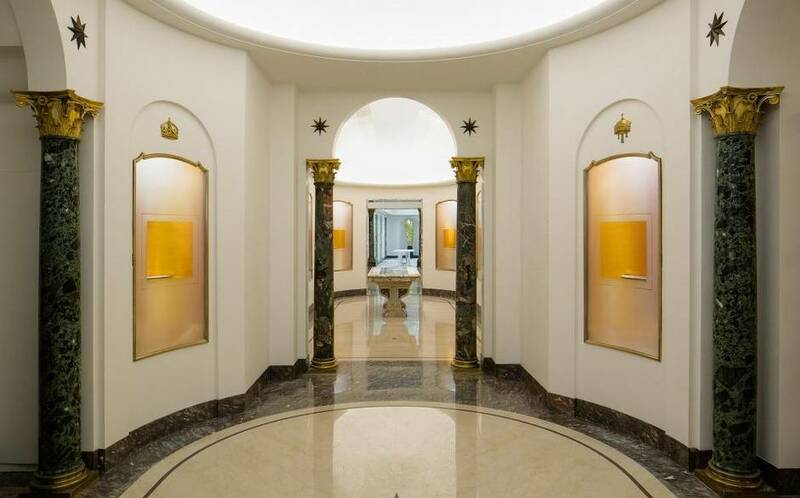 The American architect Peter Marino referenced celebrity (Elizabeth Taylor was a big fan) and history when he renovated this store, bringing out modernist detailing in the 1930’s structure. 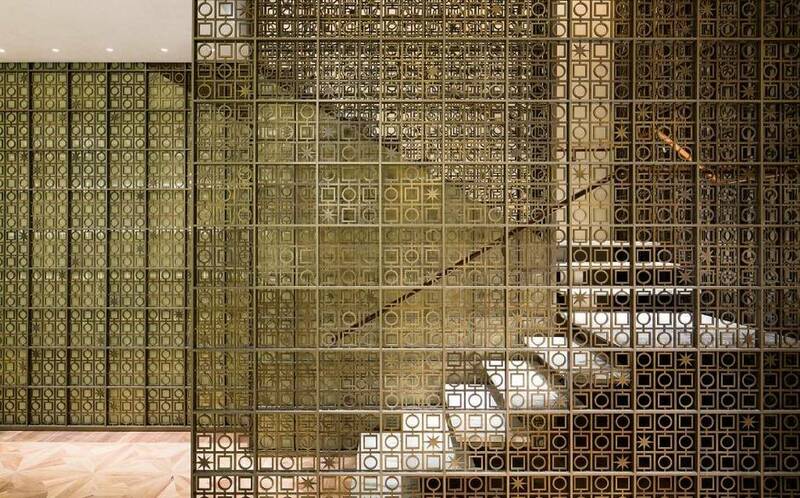 The stair case is made of the same the marble preferred by the ancient Romans, and incorporates a bronze screen that mixes the Bulgari star with patterns from the Pantheon. Many of the store motifs, including the floor of the men’s watch gallery, are drawn from design detailing at the Pantheon. In the end, all design comes down to the successful implementation of a design idea using technology, money and craft. The Bulgari store strikes me as Roman BECAUSE it just can’t stop: there is so much going on, such a mash-up of ideas referencing different times, dressing up an old facade with lots of shiny new objects. This perfectly encapsulates the idea of Roman design. If you enjoyed the spectacle of the Bulgari show at the deYoung Museum in San Francisco, you will enjoy a trip through this store even more. Original Bulgari store has been update with modern lighting and display techniques.